J. Courtney Sullivan, bestselling author of Saints for All Occasions. will be the featured speaker at Darien Library’s “Novel Tea” lunch fundraiser on March 27, and tickets are now on sale. Novelist T. Courtney Sullivan is the featured speaker at Darien Library\’s fourth annual Novel Tea fundraiser on March 27. Tickets are on sale now. Saints for All Occasions was a national bestseller, a New York Times Critics’ Top Book, Washington Post 10 Best Books, and a Harper’s Bazaar Best Book. A sweeping, unforgettable novel about the hope, sacrifice, and love between two sisters and the secret that drives them apart. Central to all of Sullivan’s books is that the moment a woman is born determines so much of who she is allowed to become. This year for the first time, there will also be a silent auction at the Novel Tea. “We have collected some fantastic and unique items that you’ll only be able to see at a Darien Library event!” said Tammy Sload of the Board of Trustees. All funds raised from the Novel Tea will be dedicated to library resources, including new technology, purchasing new books and materials and supporting programs and guest speakers. The lunch will be held from 11 a.m. to 2 p.m., Wednesday, March 27 at the Country Club of Darien. Single tickets are currently on sale for $150. Books will be available for purchase courtesy of Barrett Bookstore. For tickets and more information visit this Web page on the library website or contact the Darien Library Administrative Office at 203-669-5220. Benefactor and Sponsor tables are also available. 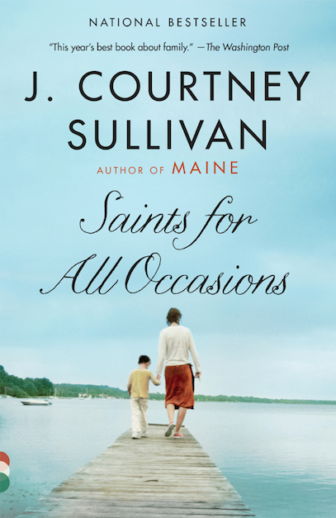 All Benefactor and Sponsor table guests are invited to a private meet-and-greet reception with J. Courtney Sullivan, and will also receive a signed copy of Saints for All Occasions. The Novel Tea is sponsored by The Wyper Family Author Fund, New Canaan/Darien Magazine, Laurel Road Bank and David Harvey Fine Jewelers. 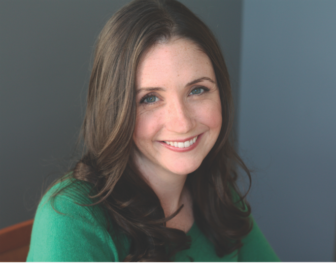 J. Courtney Sullivan is the New York Times bestselling author of the novels The Engagements, Maine, Commencement, and Saints for All Occasions, which was dubbed the year’s “best book about family” by The Washington Post. Maine was named a 2011 Time magazine Best Book of the Year and a Washington Post Notable Book. The Engagements was one of People Magazine’s Top Ten Books of 2013 and an Irish Times Best Book of the Year, and has been translated into seventeen languages. Sullivan lives in Brooklyn, New York. Darien Library is among the busiest in the state with over 1,300 people visiting on an average day and has the highest per capita circulation of items in Connecticut. The Library collection includes 125,000 books and 300 newspaper and magazine subscriptions. In addition, the Library presents over 1,500 public events annually, hosting a lineup of bestselling authors, technology classes, early literacy programs, and workshops for small business owners and entrepreneurs.